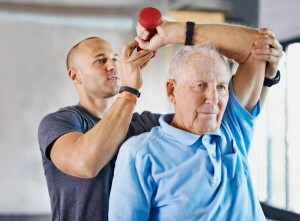 Nobody can predict when they might require Medicare-certified rehabilitation from a hospitalization due to accident, injury or planned surgery. According to at least one licensed nursing home administrator, Robert Wright, consumers 65 and over would be well advised to get to know their options before a health crisis. Wright oversees The Springs at Pacific Regent, a 54-bed Medicare-certified rehabilitation and skilled nursing center in downtown Bellevue, one of only two in Bellevue. Mission Healthcare is located more than four miles away and, with 124 beds, is more than twice the size of The Springs. Both centers are rated four stars, according to Medicare.gov. In nursing home vernacular, four stars are considered “above average.” One currently has to travel outside of Bellevue to reach a five-star or “much above average” setting. As Wright explains, all nursing homes that are certified by Medicare and Medicaid are inspected each year. Health care professionals inspect each nursing home and look for any health and safety citations. Ratings are derived from there. A perfect or near perfect survey yields a five-star rating, the nirvana every licensed nursing home administrator works hard every day to attain. Getting there – and staying there – is not easy. Inspectors arrive unannounced and often spend days on site, scouring files and interviewing patients, families and staff. Even a missing document, such as a legal form unsigned by a patient or power of attorney, may result in a low level citation. Wright expects to see his community’s star rating rise and he wouldn’t be surprised to see it reach the highest five-star level with the next survey. “The way the system works is, once you have a blip in your score, it takes several years for your average to recover, even if your current survey is perfect,” Wright said. “We have not reached perfection yet but we are very proud of the excellent rehabilitation and care we are delivering at The Springs. LouAnn King joined us as our Director of Nursing in 2017 and I have every confidence that she, along with her stellar team, will see us to the top,” he said. People considering where they may want to recuperate from illness or surgery have choices and it’s important to compare those choices, not only on paper but also in person, Wright further advises. The Springs is located inside Pacific Regent, a luxury high rise retirement residence located at 919 109 Ave NE in the heart of Bellevue. For more information, contact Leslie Campana, Community Liaison\Admissions Director at 1-425-646-9808.